Xaarlin: How bad do you want it? 1 week post marathon and here I am sitting on my couch planning out my training schedule for the next 15 weeks until the ING Miami Marathon. My original goal for Chicago was lofty- and had to abandon it early on due to some sort of calf/shin issue that sidelined me for months. When I was able to run again I was constantly scared that the injury would flare up and knock me off my training again. So I took it easy and created a good base mileage. I did what I had to do to get to the finish healthy. Now begins the journey of hitting an amazingly lofty goal I have set for my next marathon. Getting in the way- What are you scared of? Success?? I find myself getting in the way of my progress. I notice being complacent or comfortable running at a certain speed. When I think that i'm going to have to break the next barrier (of 8:00/mile) for most of my runs, I'm nervous. WHY?? There is no good reason. I know my body can handle it (I've gone sub 8 for many of my runs- if only for a mile or 2), but my mind is too set and comfy running 8:30+ a mile. I found this to be true earlier in the year when I was training for my sub 2:00 halfs. I was super complacent running at 9:30/mile and found it difficult to turn up the speed to finally train in the 8's. I needed to tell my mind to back off and let me do what I was capable of doing. During most of my runs, I would do negative splits and end up running in the mid-low 8's. Finally came the day where I would just start running sub 9's for my training. Im confident that "running faster, will make you run faster" as well as more consistent running, and running more miles. This is how I went from a best of 2:00 in a half in 2010 to a new PR of 1:48 this year. I had to tell my mind to shut up and let me run. It is truly amazing what the body can accomplish when you dont let your mind get in the way. I've also found that the fear of success is almost as great as the fear of failure. 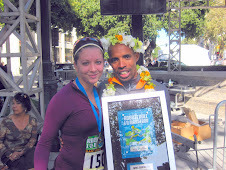 A year ago I ran the Nike Women's Marathon without a time goal in mind. I just wanted to finish healthy. My best friend Tribu also ran the race- it was her first marathon and she was determined as hell to qualify for Boston. She trained during the hottest days of summer, waking up super early to run at 4am to get some relief from the oppressive heat. She ended up qualifying for Boston on her first try- an amazing accomplishment and an even more amazing feat to have been on the hilly NWM course. She didn't let excuses get in the way, instead she put in the hard work necessary to achieve this goal. Another friend of ours ran his first marathon today in 3:18 and got his BQ. He just started running not more than 2 years ago. Folks, anything is possible if you are willing to put in the hard work. With any goal- it might seem ridiculous or out of reach. But if you break it down into small pieces it will seem much more attainable. You cant expect to teach a dog to roll over in one step- instead you must break it down into much smaller steps- like sit, down, lay on side, etc in order to get the singular goal of rolling over. If you want your goal bad enough then you will do everything humanly possible to achieve it. I'd rather have a crazy (albeit *somewhat* attainable just out of my reach) goal that I must work hard for than one that will come easy. I want to push myself to see what I am made of while my body is still willing to cooperate. While i'm happy with every PR that I achieve, I always want more and know I can do better. I might not ever be the fastest runner, but I can try to be. No excuses. Saying no is hard, but how bad do you want your goal? Pushing myself to new frontiers in my running and not giving in. Training smart. Every run has a purpose. Having the full support of my wonderful, wonderful to achieve my dream. 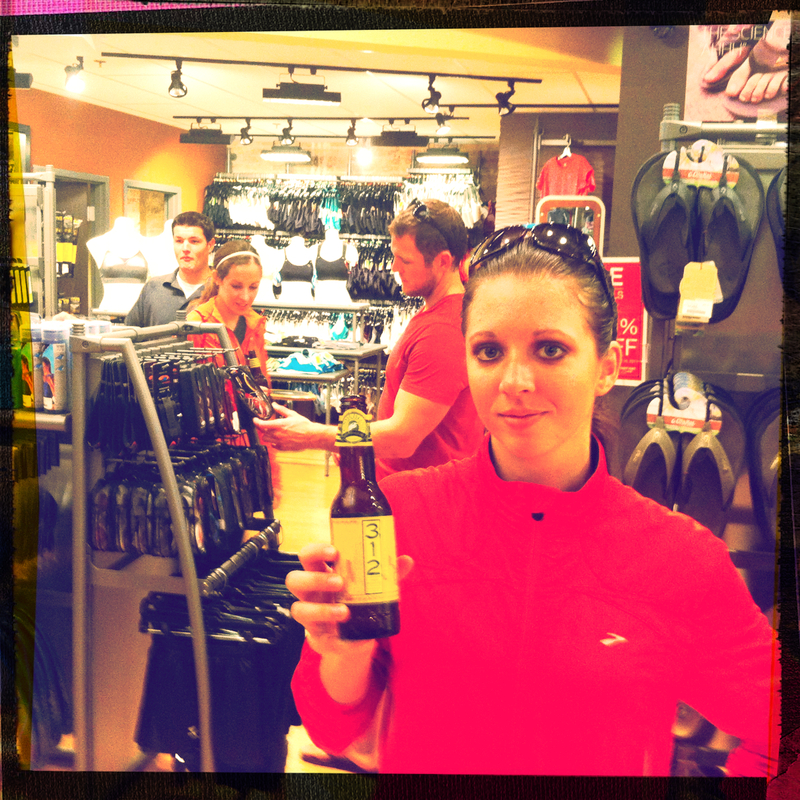 Researching proper nutrition and post run refueling. and putting it to use. Living my dream because I can. Failure of this dream due to MY laziness is NOT an option. "Virtually" training with Tribu to keep on track and stay motivated. How do you achieve your goals? What are your secrets to being successful? "Failure of this dream due to MY laziness is NOT an option." That pretty much sums up how I feel about my training. You do make it look easy in that first picture, I love it! My husband is not overly supportive of my training, I train alone, so it is pretty much all up to me. I can't stand to not run fast and place well in races so that is very motivating to me. I use BodyRock.tv for my core training. SO helpful. I feel like I have the strongest core I have ever had after bodyrocking for a year now. I loved reading this. It's so good to hear from someone who started out running at my "comfortable" pace and now you're WAY faster, in the last year. I had a pretty bad half marathon yesterday, but I was shocked to run some sub-9s that didn't kill me. Progress being made--I just have to want it badly enough, like you said! What a wonderful post Xaar! I can completely understand. I'm gunning for sub 2:10 half at F3 in January and I'm giving myself no excuses either. We'll be like...no excuses twins...or...something. what a great post! I am very excited to watch you meet and exceed each of your goals. I know that you can do it just be reading this post. You have the determination and drive to get there! You go girl! Fantastic post!! Just makes me want to get out and run tonight! 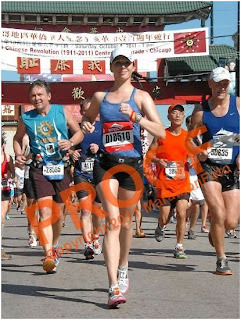 Every photo that I see of someone running Chicago makes it look really hot, and it sounds like it was really hot. Though you look the freshest out of the people in the photo. You have some really fast friends - Tribu getting a BQ on the Nike Womens course is nuts, that course is insanely hilly. And your other friend getting a 3:18 BQ is crazy too! I bet that Fleet Feet post race party was a lot of fun! All of your bullet points about being successful are great - main one that resonates is "no excuses." Sometimes during half marathon or marathon training I have to say no to doing things with friends because I have to get up early to run the next day. As with everything, you have to know what is important. Once something starts to feel like a job to me (other than my actual job), I need to change something because it is not bringing me enough joy. I am proud of you. You are doing amazing. I would say if you are up for the challenge and have a bit of extra income, find a coach. I hired a coach last year and this year when training for my half ironmans and I would do it again in a heartbeat. She pushes me and guides my training unlike anything I would do on my own.